Apple is set to drop its latest version of the iOS operating system on us in just a few months time, and with it will come a whole host of new features and the now-ubiquitous dose of hyperbole. However, we’re hearing an increasing amount of chatter about the need for Apple to do something more with iOS than the incremental updates it’s been offering for several years now. With this in mind we decided to let you have your say about iOS and specifically ask for features you’d really like to see in iOS 6. After all, Android is becoming more of a threat every day, so it isn’t as though Apple can blindly carry on its current course and just hope people make do with what it’s offering. What Would You Really Like To See In iOS6? We asked you, What Would You Really Like To See In iOS 6? 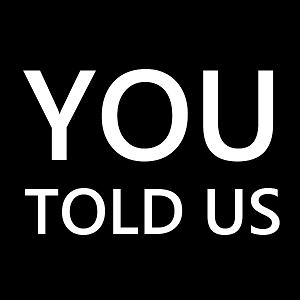 The response was tepid, unfortunately, but we thank all those who did take the time to voice their opinion on iOS 6. The main conclusion to draw from the lack of response is that the majority of Apple users must be happy with iOS as it is and happy with what Apple has planned for iOS 6 10 Features You Can Expect To See In the Upcoming New iOS6 10 Features You Can Expect To See In the Upcoming New iOS6 On Monday 11th June, Apple developers gathered in San Francisco for the start of a 4 day conference. The rest of the Apple world sat watching liveblogs, awaiting announcements of new products. Among those announcement... Read More . Which is great. Of those who did respond two main themes emerged. Firstly, people want more control over the apps that iOS comes weighed down with, with one commenter suggesting that “60% less bloat” is needed. Some of the stock apps came in for criticism, with Nike+ being mentioned a couple of times. One commenter has taken to creating a folder to store all the crap apps in and appropriately named it iSh*t.
Secondly, several people, including the winner of the ‘Comment Of The Week‘ detailed below, expressed a desire for a form of Apple-sanctioned jailbreaking. Apple currently offers a closed system where it sets all the rules, but many people circumvent the restrictions by jailbreaking their iOS devices. This could be a kind of compromise… or it may turn iOS into another Android. Which wouldn’t please everybody. 2) Hiring David Ashman or buying out Lockinfo for full integration, plugin ability and all. 3) Heavily policed system plugins that don’t require sandboxing, ie jailbreak tweaks. 4) Users, with owner-set privileges. 5) An Apple-provided master switch that enables developer mode, providing SSHd and system-wide root access from any app. This switch can not be accessed easily, can only be obtained with a free developer account (so you can get the EULAs and can’t litigate because God made you such a frakkin idiot). We like this list because it’s a healthy mix of personal and more-general desires for what should appear in future iterations of iOS. Which is exactly what we wanted when we opened the floor up for you to chime in with your views. We will be asking a new question tomorrow, so please join us then. ‘We Ask You’ is a weekly column dedicated to finding out the opinions of MakeUseOf readers. We ask you a question and you tell us what you think. The question is open-ended and is usually open to debate. Some questions will be purely opinion-based, while others will see you sharing tips and advice, or advocating tools and apps for your fellow MakeUseOf readers. This column is nothing without your input, all of which is valued. A reasonable set of demands, but none of them are going to happen. So there. What I would like to see - I actually wrote an article about it - is, to see if the ringtone is set on or off with one view on the homescreen.